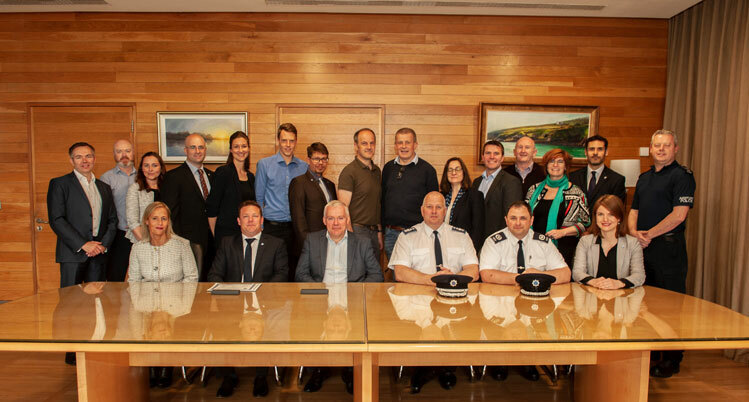 The ACI Airport Excellence (APEX) in Security programme was launched in October 2017, and in May this year Cork Airport became the EU’s first to undergo a peer review. The airport’s Ken Roberts, Head of Operational Security & Police, and Mick Delaney, Deputy Head of Operational Security & Police, shared their experiences with Ross Falconer. The APEX in Security programme was launched in October 2017, and in May this year Cork became the first EU airport to take the opportunity to benefit from a peer review of all its security arrangements. With the continuous and evolving security threat challenging the aviation industry, and a strong demand for compliance with standards coming from the UN Security Council, ICAO and governments, it has become imperative that airports have the most effective, appropriate and cost-efficient security measures in place. 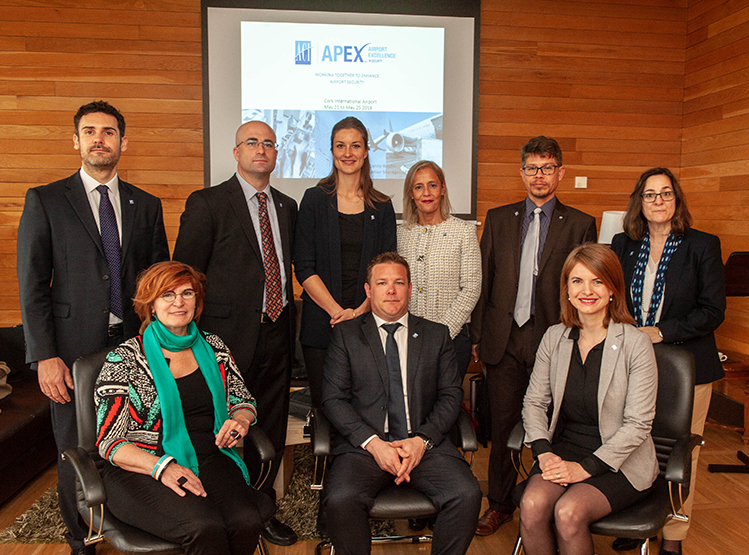 Consequently, ACI introduced its Airport Excellence (APEX) in Security programme a year ago, with the aim to play a key role in helping airports understand where they can improve, in terms of security standards, best practice and operational efficiency. Indeed, Cork Airport has been a great supporter of the ACI APEX programme from very early on. 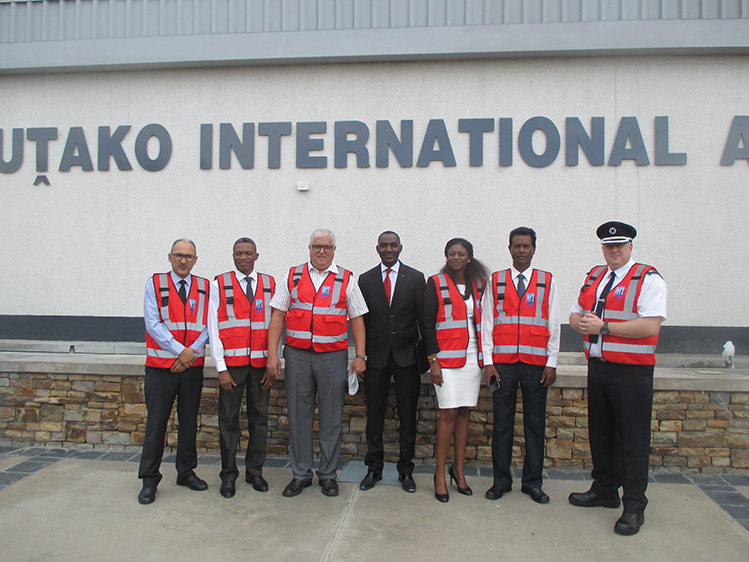 It has hosted APEX Reviews in both Safety and Security, while members of the airport management team have taken part in multiple APEX in Safety and Security Reviews as assessors. Ken Roberts, Head of Operational Security & Police, Cork Airport, at Windhoek Airport in Namibia. The ACI APEX Review Team in Cork consisted of six assessors, the team leader, and two observers. One observer was from the TSA and the other from ACI. It was noted in the final report that the APEX Review Team was impressed with the dedication and professionalism they observed at Cork Airport, from senior management personnel, through to front line staff. “This was really great to hear and to feed back to our staff that put in such a big effort to ensure the review went well,” Delaney comments. 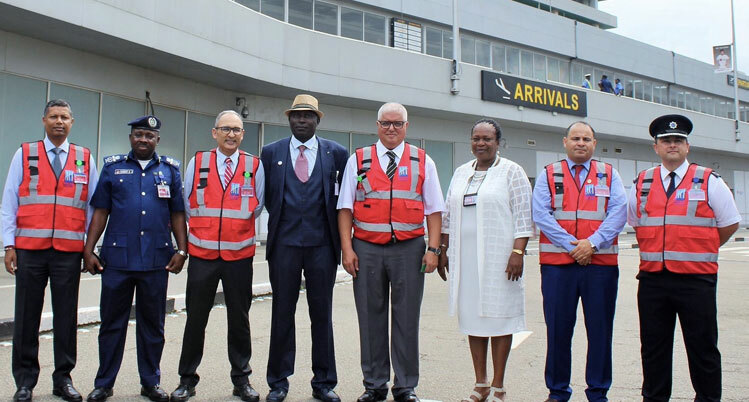 The team made many practical observations, which the airport is working through currently to maintain its high level of readiness for any serious security situation, or for any regulatory inspection or audit. Cork Airport has built a corrective action plan around the recommendations and prioritised them for action. Cork Airport Senior Management will be regularly updated on the progress on this action plan until all recommendations are closed out effectively. Meanwhile, both Roberts and Delaney have taken part in APEX in Security Reviews as assessors – Roberts at Windhoek Airport in Namibia, and Delaney at Lagos Airport in Nigeria. Mick Delaney, Deputy Head of Operational Security & Police, Cork Airport, at Lagos Airport in Nigeria. ACI delivers the APEX in Security programme to every member airport interested in achieving excellence in security. To request a Security Review, a letter signed by the senior executive of the host airport should be sent to the ACI Regional Office, with a copy forwarded to ACI World. An APEX Review is not an audit. It is a peer review by industry professionals, which will issue the host airport with observations and recommendations. “If you are considering hosting an APEX in Security Review, I would encourage you to request it today,” Roberts concludes.